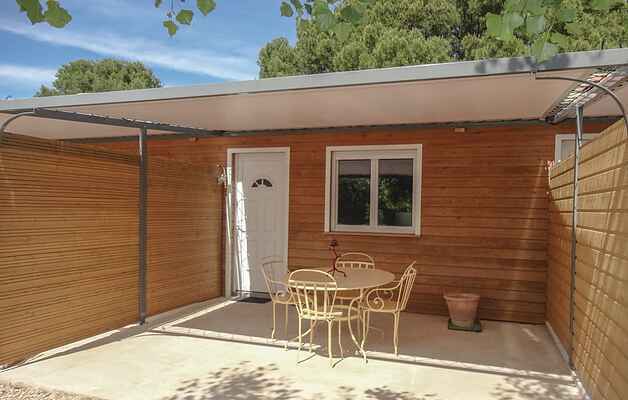 This charming holiday home will be perfect for a relaxing stay in the Hérault. It awaits you 10km from Clermont l'Hérault, 15km from the beautiful Lake Salagou. You will appreciate the pleasant and well equipped interior and especially the terrace to enjoy your meals in the sun or just have a good time of relaxation. Feel free to discover the site of Lake Salagou, wild and atypical, where water activities await you for the whole family. In Clermont l'Hérault, you can visit the Saint-Paul Church and the Guilhem Castle. Unforgettable hikes await you in the Cirque de Mourèze. Continue on to the Caves of Clamouse and the legendary Devil's Bridge. A little further, you can discover the Abbey of Valmagne and the beautiful town of Pézenas, which pays tribute to Molière each year through exhibitions and shows for all. At the market, you can find local products and small gifts to bring back to your loved ones. Can be rented with FLH276 and 278.